Home > Blog > Nutrition > How Did It Get So Complicated? People love their children, clearly. They bring their newborn babies home from the hospital, they hopefully breast feed them, then they just start feeding them what mom and dad are eating. There’s a simple food pyramid with rough guidelines to follow and, theoretically, if you stick to that pyramid, things will be just fine. Surely, you’ve all seen the food pyramid. While many might not agree with it, it at least gives people a nice visual picture of the approximate percentages of food stuffs that should make up their diet. It’s a nice, uncomplicated idea. OK, so instead of a baby, you bring your new puppy home and you wonder what to feed him. Where’s the canine food pyramid? Ask your vet where you would find a food pyramid for dogs and I bet 9 out of 10 will tell you to pick up a bag of kibble. Pretend for a second that you’re a brand new puppy owner. Unless you live in a cave or don’t really care for that poor puppy, you’re probably going to Google what you should feed him. So I Googled “what should I feed my puppy” to see what I would find. I have to admit, I really thought that I’d see a bunch of kibble pushing propaganda. But I was in for a surprise! Natural foods include fresh human-grade raw meat such as diced up pieces of raw lamb. Avoid feeding too much raw meat off the bone while the pup is growing. This is important to avoid certain nutritional deficiencies during growth. Choose human-grade raw meat and raw meaty bones because some pet meat /pet mince/pet rolls /pet meat and bone products can contain preservatives that can be detrimental to the puppy’s health (e.g. sulphite preservative induced thiamine deficiency which can be fatal). However avoid human-grade sausages, sausage meat and cooked manufactured meats as these may contain sulphites. Geez, that’s a pretty enlightened view for a country that still vaccinates yearly. Well done! Geez, I never knew bones were so dangerous! “There are many different ways to properly feed a puppy. Essentially you will need to feed all the nutrients she requires for growth. Excesses and deficiencies are to be avoided. 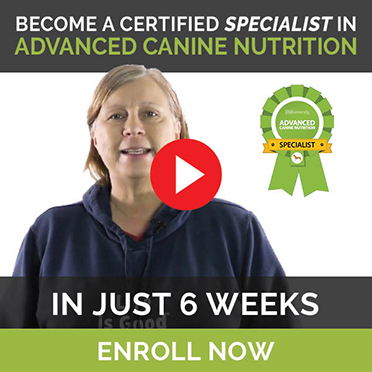 How do you know that your puppy’s nutrition program is adequate? Uh, thanks – that was helpful. It seems that vets don’t like to talk much about what you should feed your pet – although they do like to talk a lot about what you shouldn’t. If there’s one thing vets have a disdain for, it’s Google. The one thing we hear repeatedly here at DNM is that pet owners tell their vet they want to feed a raw diet or vaccinate less often and their thoughts are immediately brushed off as trash they learned on the internet. And then the article went on to describe exactly what the puppy should eat and how to prepare it. Maybe the answer is, you don’t know how. And that’s OK, because we know that the entirety of your nutritional education in veterinary school was supplied by the large pet food manufacturers. They taught you about dry weight and ash and all sorts of fancy terms that take you farther and farther away from the truth that fresh, whole foods are a healthier choice than processed foods. You don’t even need to Google that to know it’s true…it’s just plain common sense. He said the raw food diet has become increasingly popular in recent years, since some pet owners no longer accept animal byproducts in their pet foods and are insisting on real meat. OK, raw feeders – you should stop feeding your dog those $15 steaks now! Seriously…steaks? I don’t know about you, but my dogs aren’t eating any steaks! In fact, raw feeders are superb sourcers of animal byproducts that would otherwise go straight to rendering. In my own freezer, I have cow lips, pork cheek meat, turkey necks and tails, green tripe, veal and lamb brisket bones, deer legs, lamb pluck (yeah, that means all the stuff that comes from the inside of a lamb), and more otherwise inedible goodies that would have been completely wasted if it weren’t for my dogs. Come on, you’ll have to do better than that if you want to scare people off raw feeding. “More and more companies are selling products that have more protein and that can lead to obesity” says Swanson. Huh – that’s a new one. Here’s a completely unscientific idea – if your dog is overweight, feed him less. Actually, it isn’t all that unscientific. The laws of physics state that if calories consumed exceed calories expended, then the dog will get fat. Here’s the thing – raw food and home prepared foods are here to stay. The kibble manufacturers don’t like it because they can’t make kibble without a certain amount of soluble carbohydrate to hold that kibble together. If they could make kibble without it, they would, because they’d like to cash in on us enlightened pet owners. Since they can’t, they have two choices: try to break into the fresh food market or malign fresh foods. And the big players choose to malign fresh foods. And when they teach those veterinary students about pet nutrition, guess what? They will malign fresh foods. So those vets will in turn malign fresh foods. Say Hi to Mr Frankenchicken. What’s cool about Mr Frankenchicken is that you can see what he’s made of. You can see the organs he has and how big they are in relation to Mr Frankenchicken. If you want to feed your dog a raw diet, here’s your food pyramid. Instead of assembling a pyramid of food over a week or a month, your job is to assemble Mr Frankenchicken. Think of raw feeding as a game: try to find all the parts contained in Mr Frankenchicken, preferably from pastured chickens, and over the course of a week or so, make sure you feed your dog all of those parts, along with his meat and bones in the right proportions. There’s your food pyramid! You can do the same for any animal – cow, lamb, quail, whatever you want! Want more information? Try our Raw Feeding Primer. Do you need veterinary advice? That’s a great idea! But please find a vet who supports your raw feeding choice so he can help you make good nutrition choices for your dog. Cooked food is also an excellent option. But cooked food is a little more complicated because you can’t include Mr Frankenchicken’s bones – unlike raw bones, cooked bones are dangerous yet your dog needs the minerals and nutrients that bones provide. So I would encourage you to talk to a vet who knows nutrition – not the kind taught by the kibble manufacturers – to find out how to home cook for your dog. There are also great prepared raw, dehydrated and freeze-dried foods for your dog. 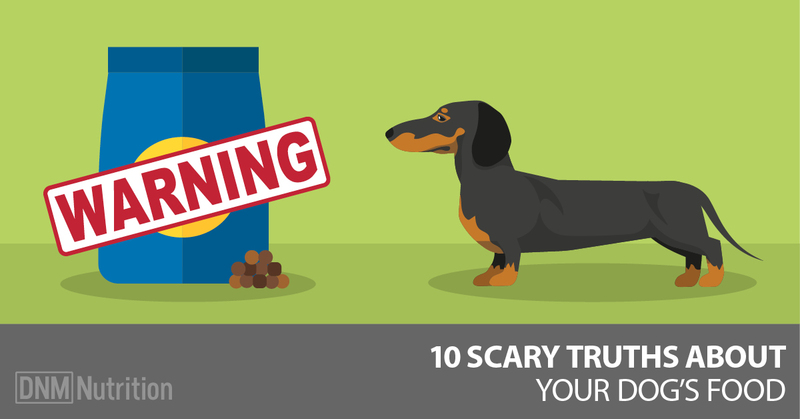 But the main point is to just get your dog off the processed foods. They aren’t good for you and they aren’t good for your dog either. No matter how loudly the vets protest, we know, in our heart of hearts, that fresh, whole foods are more nutritious than processed, synthetic foods any day. 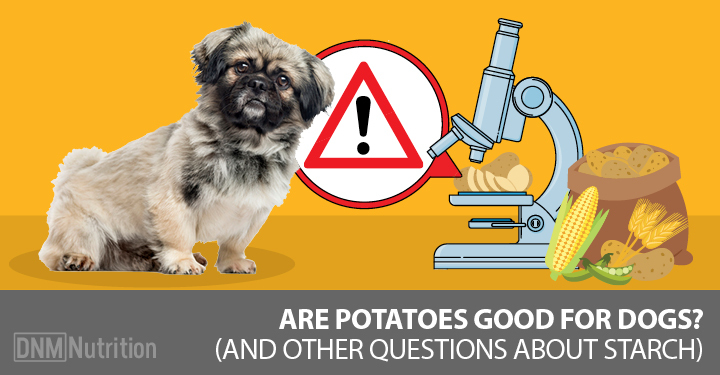 So you see, feeding your dog isn’t all that complicated after all. And if you arrived at this page through a Google search, don’t worry; we won’t tell your vet!